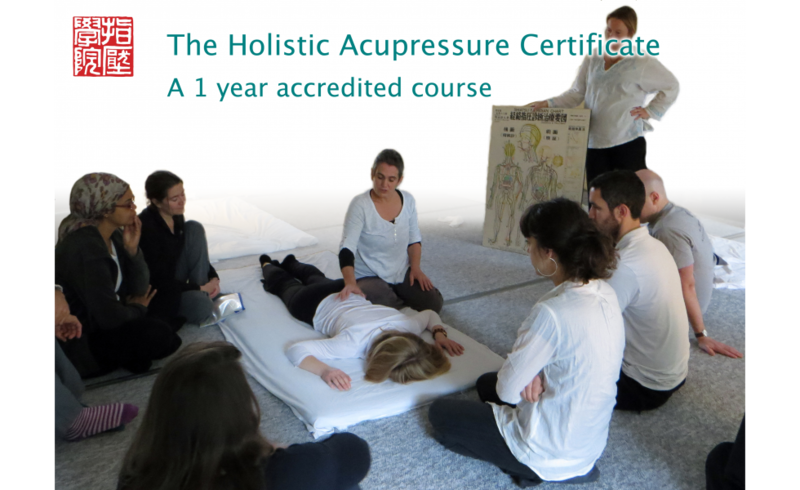 What is the Holistic Acupressure Certificate? This course is taught over 11 weekends and can be taken as a stand-alone Certificated course or as the first year of the Professional Shiatsu Practitioner Diploma course. For students on the Shiatsu Diploma course this is the first year of training and provides a Foundation level of Shiatsu, giving you an immediately marketable skill! You will learn how to give safe, competent, deeply relaxing and highly effective basic practical Shiatsu treatments, including the understanding and use of Acupressure points. You’ll be shown a range of self-help techniques to improve your own health and wellbeing – including meridian stretches, breathing, meditation and simple Qigong exercises. The course also introduces the fascinating world of Shiatsu theory, from its ancient Daoist roots and Traditional Chinese Medicine through to modern scientific insights into the structure and dynamics of the human body and its energy field. There is a home study component (typically of about 3 hrs per week), which includes recorded practice treatments, reading and assignments for students to complete between the College weekends. Assessment is ongoing through the course and the criteria will be explained for you. Award of the Certificate requires successful completion of both theoretical and practical aspects of the course. As part of the Acupressure course we o er a Nationally Accredited e-learning Holistic Anatomy module. Here at the Shiatsu College we are keen to bring you the latest developments in the study of the human body. In particular, we want to share our enthusiasm for looking at the body through the paradigm of connections and energy fields. Naming the bones, muscles and joints is important but we want to emphasise the importance of learning anatomy from a holistic point of view. 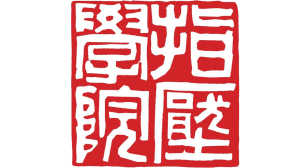 The online classroom (Shiatsucollegeonline) allows us to support students with accessible, fun ways of learning (using videos/quizzes etc), minimising class time spent on theory and maximising the time available for hands-on work. The Shiatsu College Norwich - one of 5 national branches - was established by one of the College’s Founding Teachers, Clifford Andrews, in 1986. The school has been providing fully ratified, and now Nationally Accredited, high quality Shiatsu training ever since. The local teachers are a rare team: Cliff has gone on to become one of the world’s most respected teachers – regularly invited to teach throughout Europe and in the US and Australia; the other teachers also each have over 20 years experience, including international teaching and commitment to professional Shiatsu practice. The team continue to be inspired and enthusiastic about the healing potential of Shiatsu and we are always developing and evolving our school’s teaching strategies.